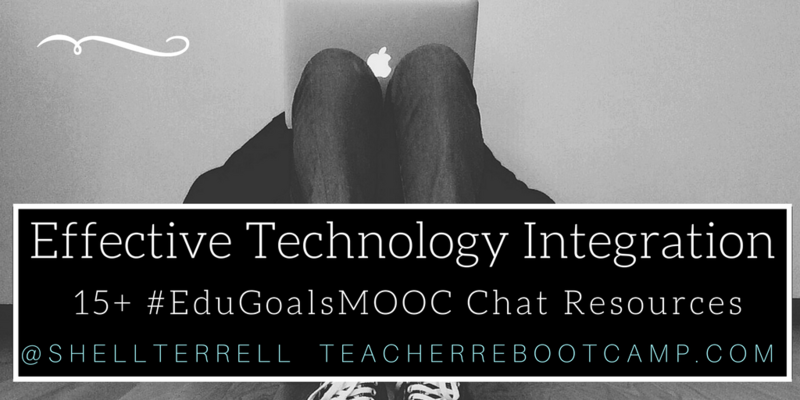 Today, The Goal-Minded Teacher (#EduGoalsMOOC) free open online course Twitter chat took place about the topic, Effective Technology Integration. We were inspired by two incredible edtech gurus who were our guest experts for the chat, Steve Wheeler (@SteveWheeler) and Larry Ferlazzo (@LarryFerlazzo). We also had many teachers who are edtech gurus in their own right from around the world join the chat. Recommended free web tools from the chat are Flipgrid, Seesaw, Buncee, GetKahoot and Spiral. Below find over 15 resources shared and the archive of the Twitter chat. Digital literacy 1: What digital literacies?